Fertile soils, abundant water, multiple growing seasons and skilled farmers and producers combine to make Florida’s agriculture industry one of the strongest in the country. With a wide variety of top crops, including oranges, tomatoes and strawberries, sweet sugar cane, and livestock including cattle and calves, Florida’s second largest industry contributes $120 billion to the state’s economy. Agriculture is Florida’s second-largest industry, providing important economic revenue and creating more than 2.1 million jobs for Floridians. The state’s estimated 47,700 farms and ranches cover 9.5 million acres, with an average size of 200 acres each. These operations are producing products prized by Floridians, the nation and the world. 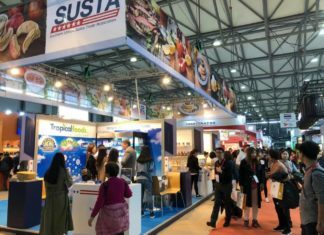 Florida’s agricultural exports recently exceeded $4 billion annually, with products going to more than 159 countries and territories across the globe. This puts Florida at No. 8 in the nation for agricultural exports. 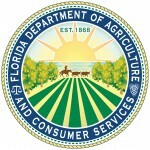 Florida has one of the most diverse industries in the United States in terms of commodity variety, ranking first in value of production for multiple produce items, including oranges, fresh market tomatoes, watermelons, grapefruit, fresh market snap beans, fresh market cucumbers and squash. Seafood dockside values exceed $200 million annually, and Florida fishermen catch more than 90 percent of the nation’s harvest of grouper, stone crab, pink shrimp and Caribbean lobster and over two-thirds of the nation’s harvest of Spanish mackerel, pompano and mullet. 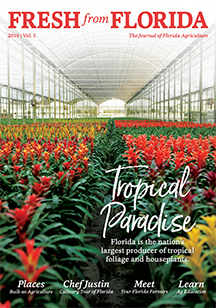 The state’s horticulture industry is ranked second in the nation earning annual cash receipts of more than $1.6 billion. Agriculture positively impacts other segments of Florida’s economy including manufacturing, processing and distribution. In addition to generating jobs and providing products in communities across the state, agriculture contributes to the beauty of the landscapes and the health of Florida’s citizens. Sliced fresh, paired with bacon and lettuce, or blended into a chunky salsa – tomatoes are an important commercial vegetable in Florida. The state produces 41 percent of the total U.S. value for fresh market tomatoes. Prominent produce companies, including Del Monte Fresh Produce NA Inc., are keeping Florida’s tomato industry thriving. In 2014, the produce giant expanded production of the crop in the state by buying more farmland, an acquisition that will allow Del Monte to fill the winter gap in its local field-grown tomato program, according to Paul Rice Sr., Del Monte’s vice president of North America operations. Learn more about Florida tomatoes at floridatomatoes.org. Sweet and sticky, pure Tupelo honey is a light, mild-tasting honey produced in the Gulf Coast region. Certified Tupelo honey is produced by beehives kept along the river swamps on platforms or floats when tupelo trees bloom. The Apalachicola River in the Florida Panhandle is the center of production for the honey, which ranges through the Ogeechee River and the Chattahoochee River Basins of Northwest Florida. These river valleys are the only place in the world where Tupelo honey is produced commercially. Florida ranks No. 1 in the nation for sugarcane used for sugar, and the crop is the third largest agricultural commodity in Florida, with a $682 million impact on the state’s economy. In 2014 alone, farmers produced 15,738,000 tons of sugar. The Florida Everglades Agricultural Area, located in the southern tip of the state, is where most of the state’s sugar is produced, with about 25 percent of the nation’s sugar grown on approximately 450,000 acres. The area is also a preserved environmental habitat, and to date, Florida’s sugar farmers have invested hundreds of millions of dollars to restore and protect the area. Del Monte Fresh Produce NA Inc.
Florida agriculture extends its reach around the world.